Browse » Home » over 4000 Sq. Feet » 5 bedroom luxurious contemporary model flat roof house. 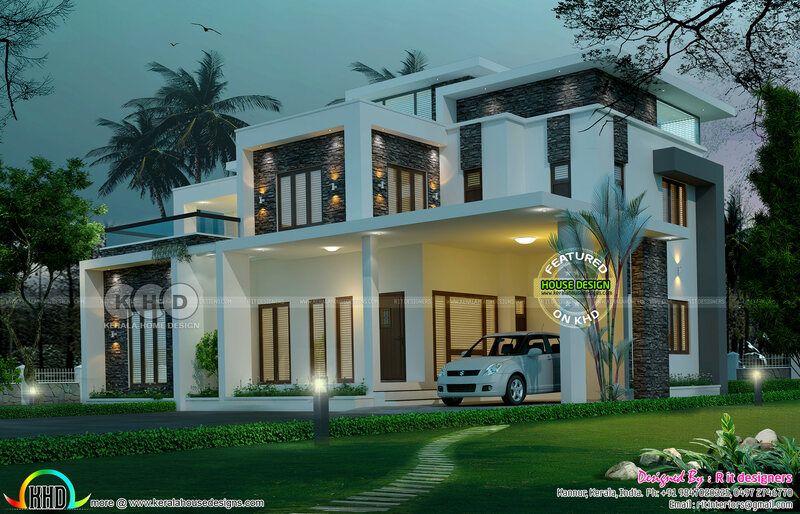 5 bedroom luxurious contemporary model flat roof house. 5 bedroom contemporary model flat roof house. Total area of this stylish house is 4910 Square Feet (456 Square Meter) (546 Square Yards). Design provided by R it designers, Kannur, Kerala. Ground floor area : 2340 Sq.Ft. First floor area : 2190 Sq.Ft. Second floor area : 380 Sq.Ft. Total area : 4910 Sq.Ft. 0 comments on "5 bedroom luxurious contemporary model flat roof house."